Tech behemoth Google and shopping giant Walmart have formed a partnership that makes life easier for those who find themselves to be short on time to do their shopping. Using the Google Home speaker, you can soon speak into it to make purchases from Walmart. This collaboration between Google and Walmart would see Walmart products at your disposal, waiting to be purchased simply by issuing a voice command to Google Home. We are sure that there will be kinks to iron out, but from what we know, Google Home device owners can place orders for one item at a time from Walmart. If multiple items are needed, just add them via an online shopping cart, before completing the purchase process using the Google Home app. This is certainly an improvement on Walmart’s part as well, with the company jumping aboard the Google Express bandwagon in September last year. Google Express is a shopping marketplace that offers same-day delivery service in select areas and has since seen it spread its wings to be more inclusive in terms of regular shipping times so that the entire country can benefit from such a service. 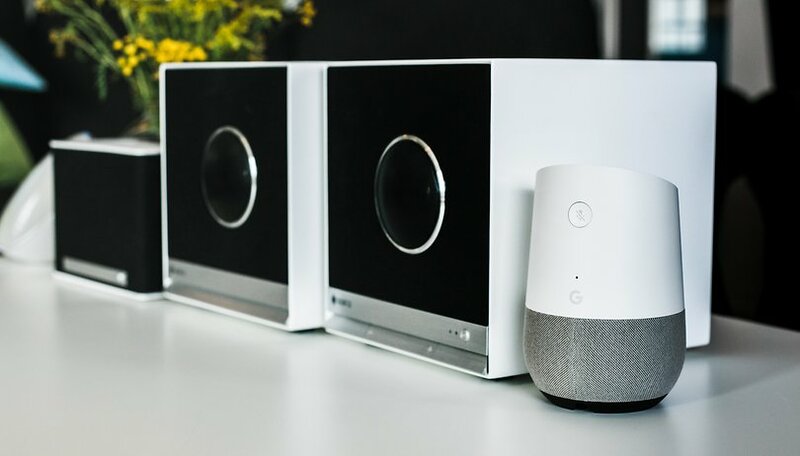 Google Home first featured voice shopping earlier in 2017, working with wholesale retailer Costco and other partners such as Walgreens and PetSmart. This bold move deeper into the online shopping realm was not unexpected, taking into consideration how the largest fish in the voice shopping pond is Amazon’s Alexa, and Google would love to have a slice of the pie for themselves. Perhaps Amazon’s unprecedented growth in the online shopping space has caused this reaction from Google. A 2016 study discovered that 55 percent of adults in the US began searching for products on Amazon without heading to Google first, which is anathema to the Mountain View company. Google is most probably betting on the fact that their brand name is strong enough to turn the tide, and it makes sense to work alongside Walmart, which has an extremely large product inventory. Walmart also needed a partner to launch into the deep, and Amazon is out of the question being its main rival. Hence, the two companies found it suitable to form a symbiotic business relationship through Google Home’s voice shopping on Walmart. To further enhance the experience, shoppers who have linked up their Walmart account to Google Home can then check out personalized product recommendations via voice. This is determined by the shopper’s purchase history. In terms of pricing, shoppers on Google Express or Google Home will escape paying a $4.99 fee as long as they meet the partner retailer’s shipping threshold. Improvements are expected to be made for 2018, with this Google-Walmart collaboration featuring the ability to purchase fresh grocery items as well as placing orders for in-store pickup at designated Walmart stores, all via Google Home. Do you think Amazon is going to sit back and do nothing about this collaboration, or will they actually “hit back” with a new initiative of their own?